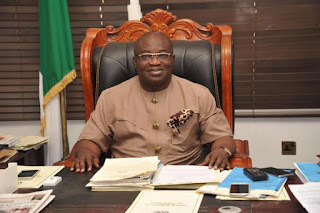 Governor Okezie Ikpeazu of Abia State has called on Igbos all over the world to consider coming to invest at home. Ikpeazu said this was the only way to fast track the development of Igboland. Governor Ikpeazu made this call when he spoke at a one-day summit organized by the Ohanaeze Ndigbo in Owerri, the Imo State capital. Ikpeazu noted that the development of Igboland is a duty every Igbo son and daughter must be part of, stressing that all hands must be deck to ensure a holistic development of the South East region. He also stressed the need for the country to aggregate into regional powers in terms of economic development and common facilities within the different regions as the way forward. He said: “Last year when I was invited to a forum organized by Igbos in Lagos, I told them of the need to think home. I reminded our people in Lagos that our region is undeveloped because our businessmen are investing outside our region. Governor Ikpeazu, who described the forum as a good beginning for Ndigbo to appraise their position and where they are headed, also called on Igbo leaders to jettison individual benefits and think of Igbo interest in everything they do. Governor Ikpeazu maintained that the prospects for the Igbo nation is enormous as he described Igbo as global catalysts for economic growth. Ikpeazu said the forum is beyond politics as the focus right now is the survival of the Igbo nation, stressing that it does not matter which political party they belong, but the paramount thing is to pilot the development of he region. He highlighted the need for huge markets and inter-state railway within the South Eastern states and also described agriculture, trade and commerce as well as Small and Medium Enterprises as key to sustaining the Igbo economy. According to him, importation is no longer fashionable now as it is surrounded by issues and noted that the focus is shifting gradually to whatever the people can produce. The Governor stressed the need for love and unity among the Igbo and declared that God will not forsake the people.